The legendary era of knight tournaments has returned! 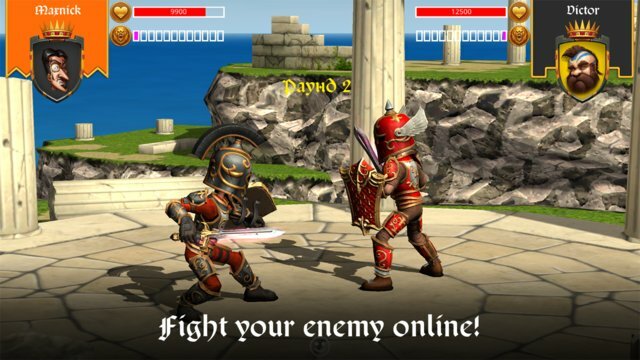 Sword vs Sword is an exciting and dynamic online game that gives everyone the chance to experience the noble spirit of the Middle Ages! Earn your victory in honorable combat against a well-matched foe, which will be your first step to ultimate glory! Only the strongest warriors survive the arena! Romanticism and nobility, honor and bravery, victory and glory—the grandeur of the era of knights is now within your reach! 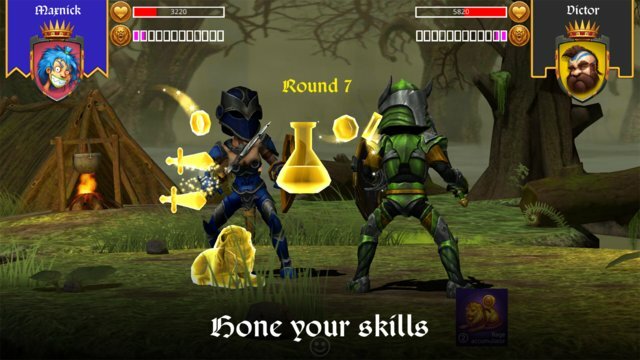 Download Sword vs Sword, then select the armor and weapon of your choice. To achieve victory, make sure to choose firm armor and the keenest blade. Most important of all, however, is your intuition—the ability to guess your opponent's next move. Fortune favors the strong! Fortune favors the strongest! The bravest and most skilled foes will only be vanquished by a great warrior, whose arm strikes true, and whose mind is as sharp and lightning-quick as the tip of his sword. Mighty warriors will soon meet in the arena. Their steel swords will gleam in the sunlight, as the earth shakes under their heavy step. As the heralds announce the names of contenders, hundreds of knights will enter the tournament, ready to fight for the right to be called the best! Take the challenge, warrior. Onward!